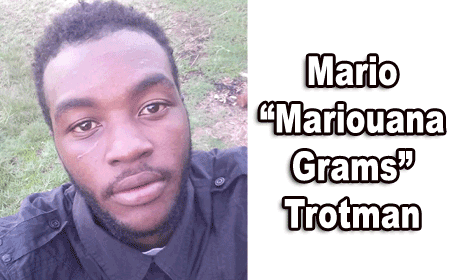 A post-mortem conducted on the body certified that Trotman’s death was caused by a gunshot wound to the head. After the autopsy, Trotman’s body was taken last night to the Eternal Garden Cemetery at Mile 13 on the George Price Highway, where he was buried by his family and friends. Trotman’s family had reported him missing at about 8:00 Monday night after he had not been seen, since Sunday. Superintendent Hilberto Romero, Director of Eastern Division Crimes Investigation, told the media yesterday during a press brief held at the Racoon Street Police Station that Trotman was found about half a mile into the canal, close to Jane Usher Boulevard. Romero said that after the missing person report was made that Monday night, police began a search, assisted by the K9 unit and members of the Belize National Coast Guard. Romero strongly believes that Trotman was lured to the area by person or persons known to him, and then he was shot and dumped into the water. Police cannot say whether the murder was gang-related, and the motive for the killing is not known at this time. Three persons have since been detained for questioning, however. Police say that although they are reasonably sure that one of the suspects they have in custody is the triggerman, they are facing difficulties because no one wants to come forward to give a written statement. Amandala visited Trotman’s grieving mother, but she was devastated and unable to talk. Notably, police are still looking for suspects in the gruesome murder of David Copius, 37, of Jane Usher Boulevard. On July 11, 2014, Copius’ body was retrieved from the same canal. Copius was found floating in the water by BWSL workers who were conducting routine checks in the area. They were shocked to discover that his killer or killers had sliced open his abdomen, from top to bottom. The body was badly decomposed and the coroner believes that the body had been in the water for over two days.